In a recent update 0.16.0 developers added ocean monuments, and so today I'll tell you about them in detail. So ocean monuments were added to minecraft in version 1.8 this feature has appeared on our smartphones only this week. So these "fortresses" are sooo big and you probably do not know, but they have a gold storage where you can find 8 gold blocks! There is also a room with sponges, and that's where you can get a sponges! You will see an elder guardian inside. He is white, has a larger size than traditional guardian, and he can attack you different effects! What is better to take to fight it and just to explore this structure? You need a full iron armor set, 3 underwater breathing potions at 6 min, 3 night vision potions. 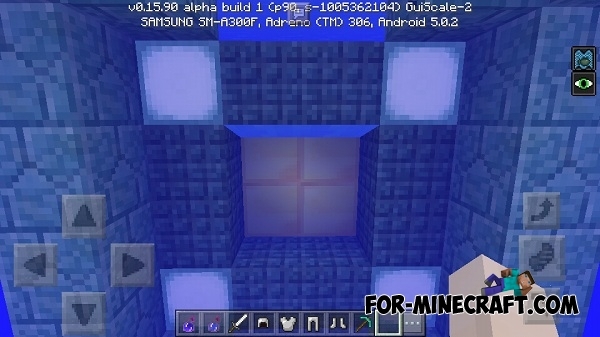 You also desirable to take iron or diamond sword, take food, golden apples and you can go to the underwater adventures!